Get your head out of the gutter, I meant three-in-one! Thanks to Instagram, I have been inundated with images of people and families camping this summer. After a 15 year hiatus, I’m craving a campground trip. 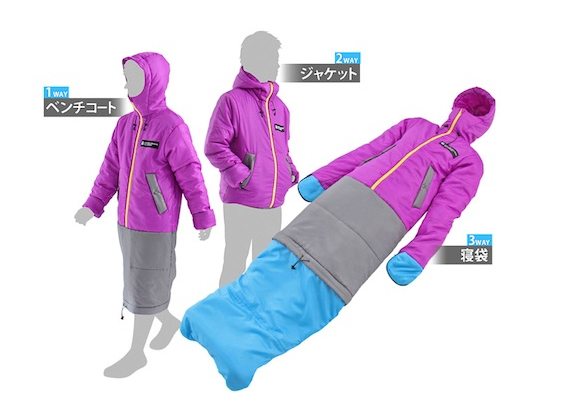 But if things have changed so drastically in that time, that I need some sort of full body sleeping bag, count me out. 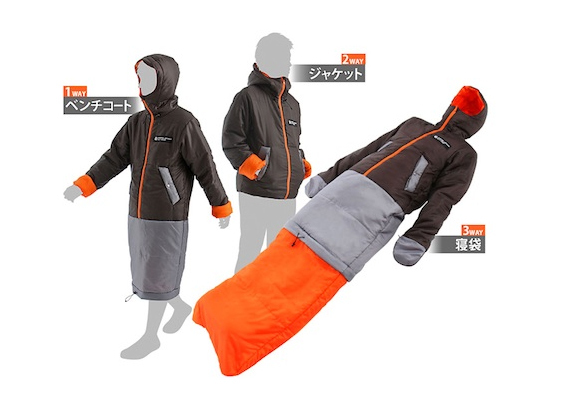 The Doppelganger Wearable Sleeping Bag is a jacket, a coat, and a sleeping bag, in one. The uppermost part is the jacket, then there’s a section that provides some leg protection. Once you’re ready to hit the ground, simply extend the bottom blue part and you’ve got yourself a sleeping bag. Hope you aren’t claustrophobic!